Kids are invited to this Cocktail Party. 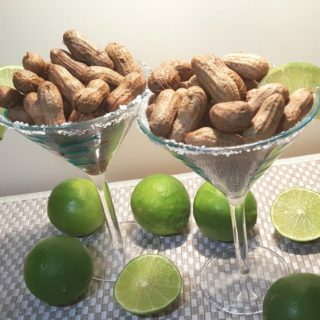 Pressure Cooker Margarita Cocktail Boiled Peanuts are Salty & Sweet with a juicy Lime Flavor. 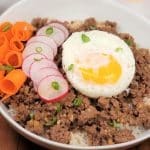 Here’s a crazy idea. 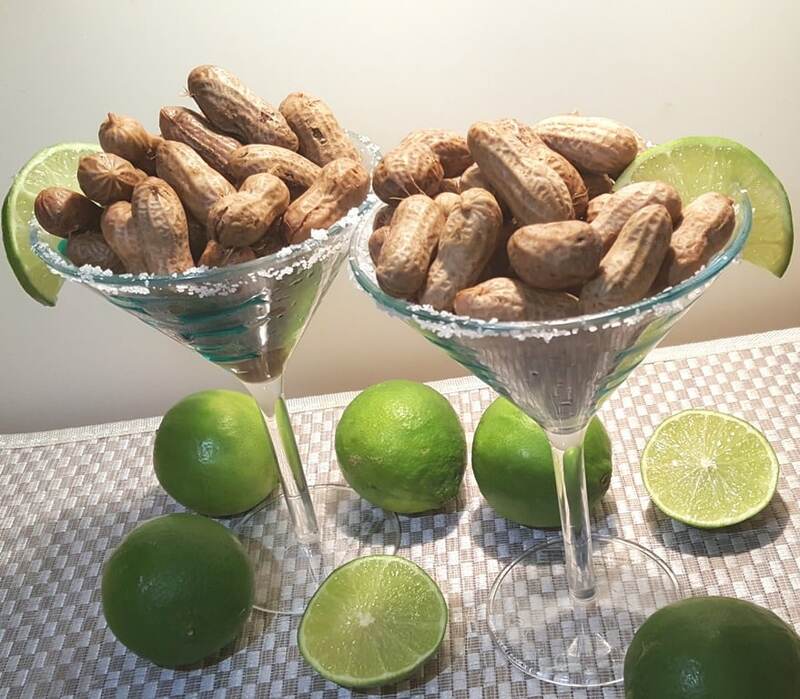 Pressure Cooker Margarita Cocktail Boiled Peanuts. I had a hankering for Boiled Peanuts tonight and was thinking, maybe Cajun or Barbecue. I asked my husband which flavor he preferred or did he have something else in mind. He said, I don’t know, what about Lime. Lime, really? I already had the peanuts in the Pressure Cooker with a bunch of Sea Salt when it hit me. Sweet & Salty Lime, Margarita! That’s it. Pressure Cooker Margarita Cocktail Boiled Peanuts were born. Making Pressure Cooker Margarita Cocktail Boiled Peanuts in an Pressure Cooker, takes a fraction of the time it takes to make them on the stove or in a slow cooker. 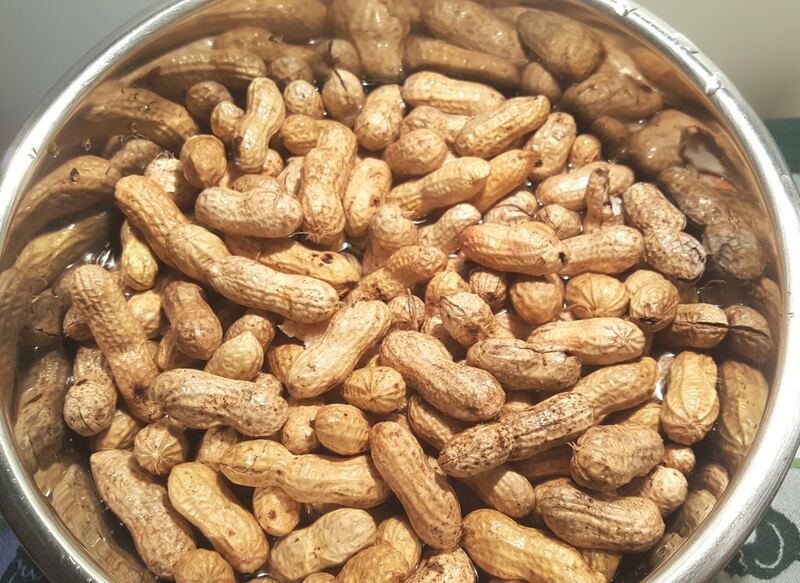 Rinse the raw peanuts well and remove any twigs or anything that is not a peanut. 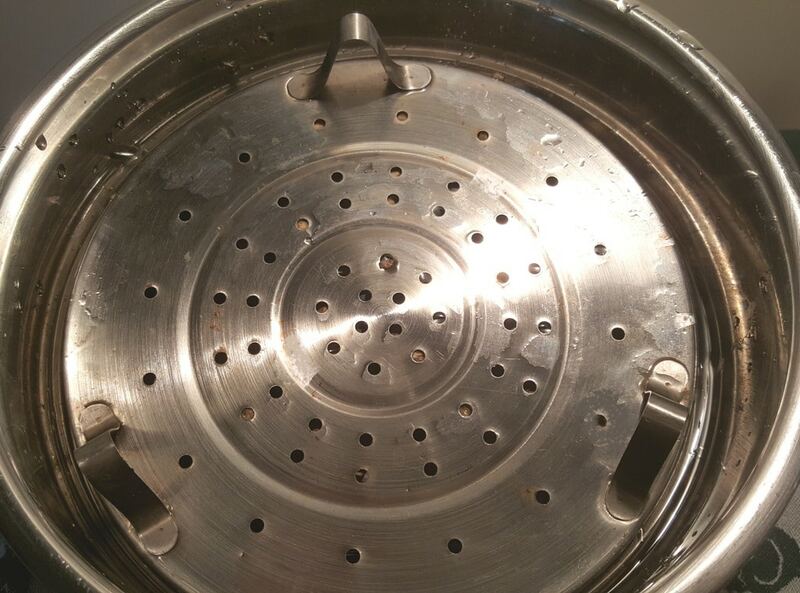 This RSVP Stainless Steel Basket fits nicely inside all brands of electric Pressure Cookers and does double duty as a strainer and a steamer basket. Add some sea salt boiled peanuts, sugar and True Lime Crystalized Citrus. Alternatively, you can squeeze in 10 or so Fresh Limes, or add a carton of Limeade. Do whatever makes your comfortable. 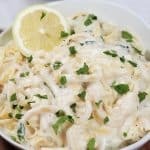 I used the True Lime Crystalized Citrus because I wanted an intense Lime taste. I did live in Charleston for a while, so, I do know my peanuts. Plus, driving across Florida on Alligator Alley, you run into a lot of Boiled Peanut Stands. Fill the Pressure Cooker up to cover the peanuts completely. They will float. 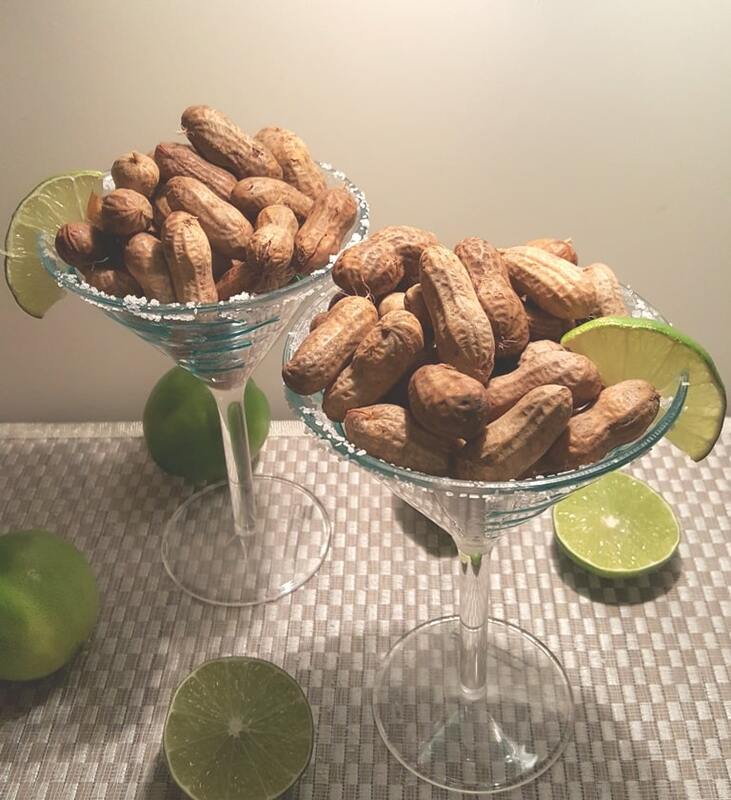 To keep the peanuts immersed in water, place a plate or trivet on the peanuts to hold them down. 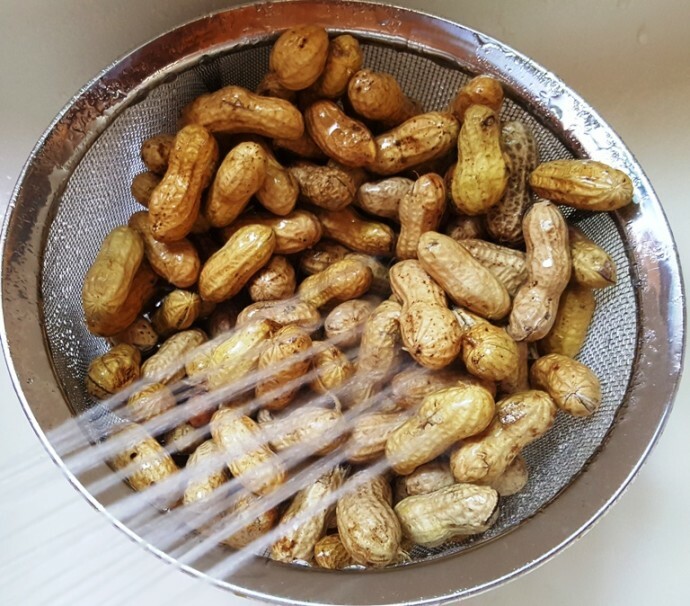 I like to leave the peanuts in the cooking water, so they stay warm and then remove what I want with a Bamboo Strainer. If you want to spice things up, try my Asian Style Chinese Boiled Peanuts. 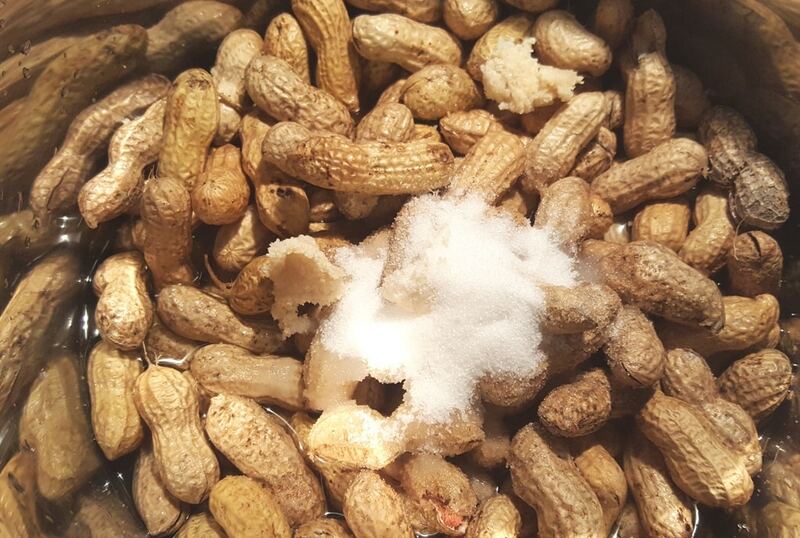 Add peanuts, salt, sugar and True Lime to your Pressure Cooker cooking pot and cover with water. 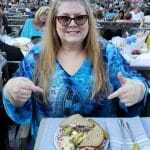 Place a plate or trivet on top to hold down the peanuts. Lock on lid and close Pressure Valve. Cook on High Pressure for 60-80 minutes. When Beep is heard, wait until all pressure is released naturally and then let sit 30 minutes. 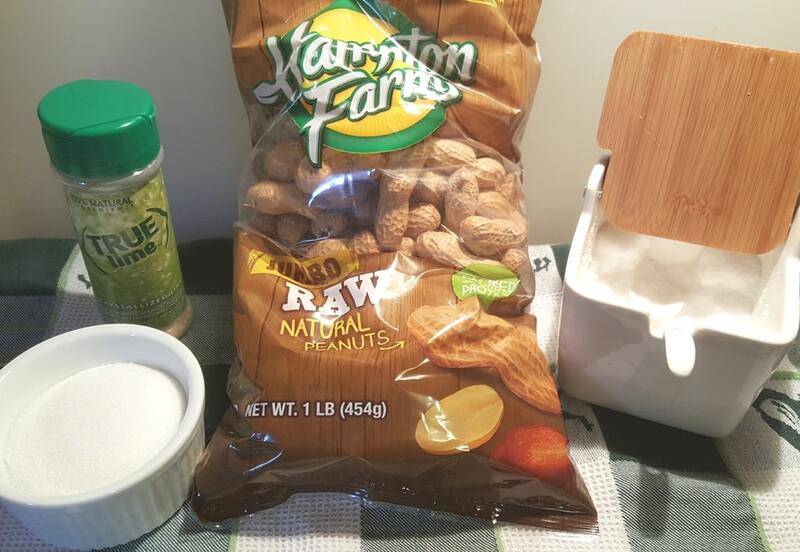 Add peanuts, salt, sugar and True Lime to your slow cooker cooking pot and cover with water. 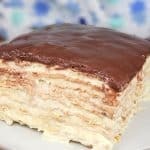 Cook on HIGH for 10 hours. In large stock pot, add peanuts, salt and water and bring to boil. Cover and set heat to low. Simmer for 3.5 hours, or until desired tenderness. Depending on your preference, the Pressure Cook time will vary. The average is 60-80 minutes. Start with 60 and then go from there. I like 65 minutes and my husband prefers 75 minutes for a softer Boiled Peanut. 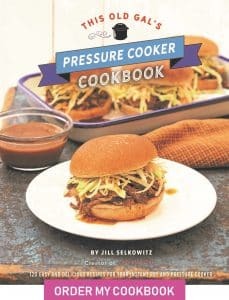 PIN this Pressure Cooker Margarita Cocktail Boiled Peanuts! 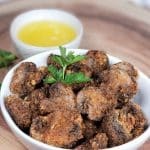 Have you ever tried putting them in the air fryer after boiling make them crunchier/roasted?